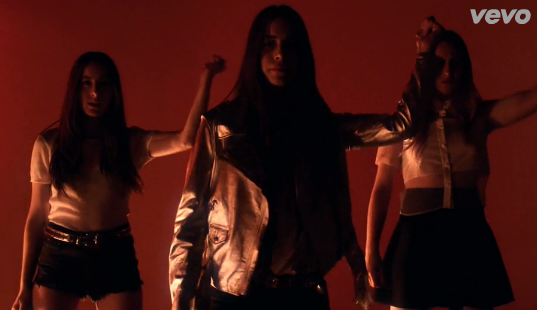 The three sisters of Haim have given us a choreographed masterpiece to their song “If I Could Change Your Mind” that will get you dancing while you watch! Not only is the song ridiculously catchy, but the dancing is, too. I can safely assume that Este, Danielle, and Alana had the time of their life filming this video, and you can’t miss Este’s classic bass face. Check this one out, you guys! Well, obviously it's an online magazine.